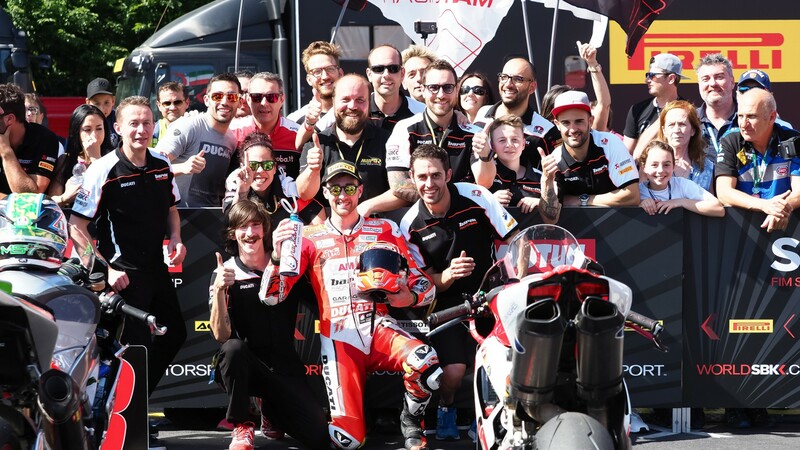 In a sensational display to end a stunning weekend of racing action, Matteo Ferrari (Barni Racing Team) secured his first victory in the European Superstock 1000 Championship, as he battled until the end in front of his home crowds. Starting from eight on the grid, the Italian was working hard with his team throughout the weekend as he made his wild card appearance with the team. 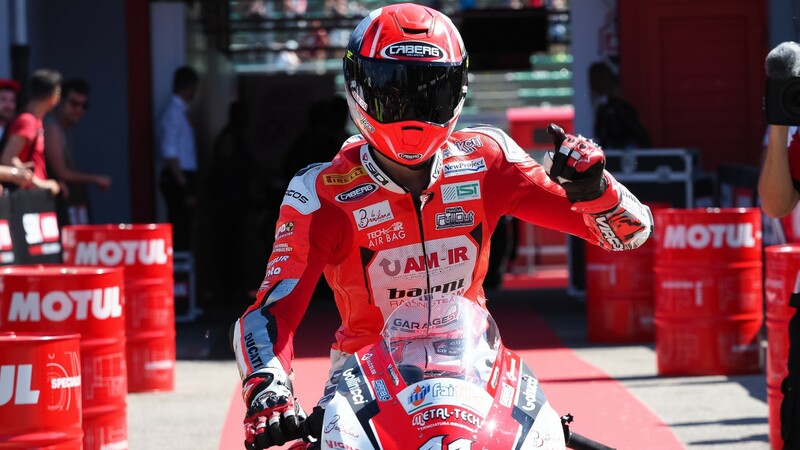 Making the most of all the sessions out on track – with qualifying in the difficult wet conditions – the feeling finally came with the Ducati 1199 Panigale R on Sunday morning, welcoming a lot of confidence into the race. After a tough start to the race, Ferrai was able to recover from fourth to first in the space of four laps and once he was in the lead, he pulled a small enough gap to keep himself safe. Crossing the line in style with a wheelie, he was understandably thrilled to take the win: "It was a tricky weekend until the warm up. We were only able to find the right set up this morning. I knew it was very important to have a good start and I got one, in the beginning I was sitting behind the two leaders as I began to understand their speed. When I realised I had something more I was able to push hard, and I took enough advantage to stay at the front until the end. I have to thank the Barni Racing Team and Michele Pirro, who gave me precious suggestions for improvement". 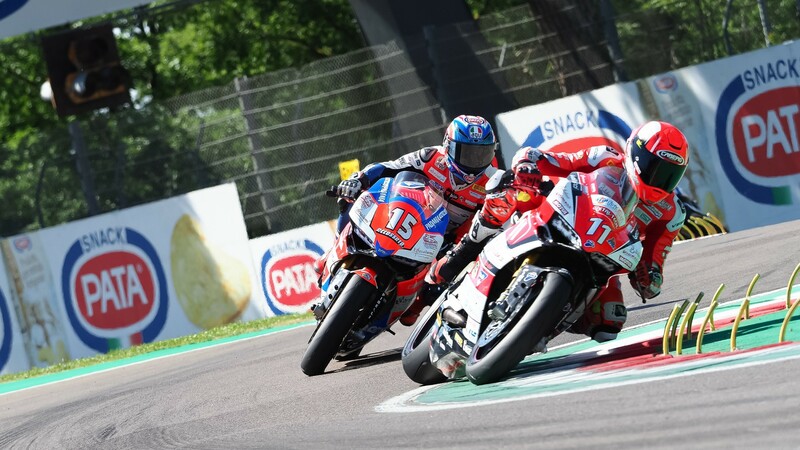 Relive all the STK1000 highlights from an iconic Imola, all with the WorldSBK VideoPass.